Both my daughters spent a good part of their first year of life sleeping here. 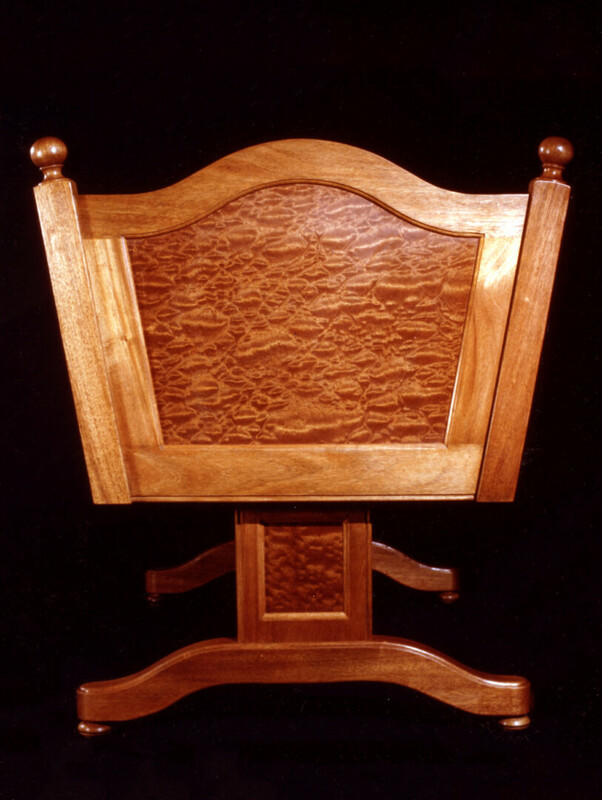 A mahogany frame holds blistered sapelle panels. The cradle rocks on unseen rounded shoulders that lock with cello tuning pins on each end. 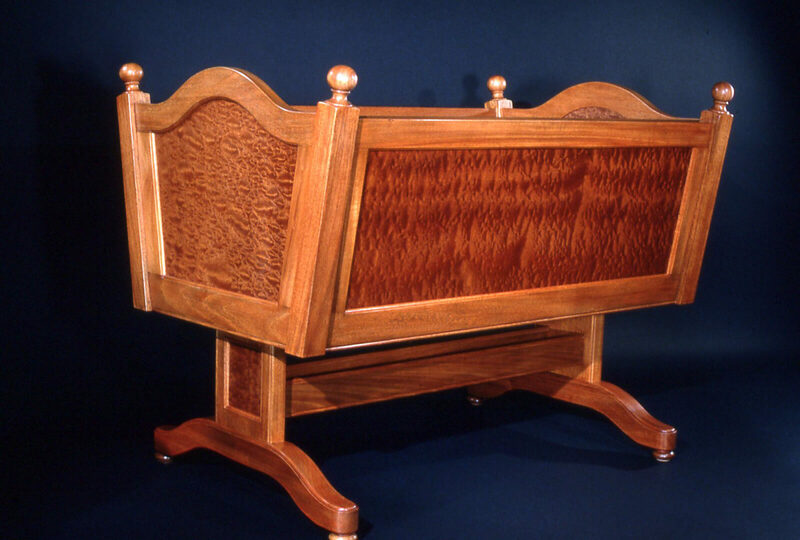 You could tie yarn around any of the top turned finials and rock the girls while lying on the bed watching TV.